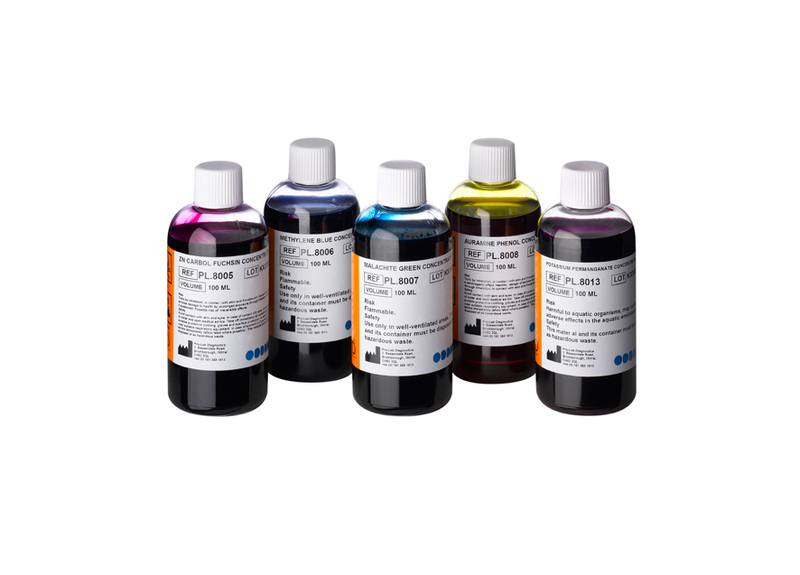 Pro-Lab Diagnostics offers an extensive range of ready-to-use and concentrated microbiological staining solutions in a selection of convenient and economical sizes. All stains are manufactured in our own purpose designed laboratories to the highest standards, in accordance with all current regulatory requirements and are CE labeled. Using the finest raw materials, and adopting strict quality control and filtering techniques prior to release, our stains offer excellent performance characteristics. Also available are a range of convenient staining kits for Gram, TB and Cryptosporidium staining.